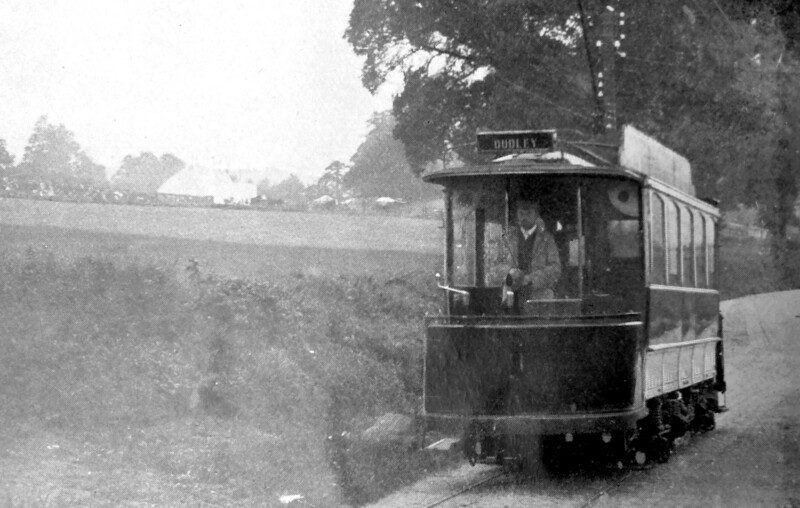 A VERY rare image of a car - Dudley & Stourbridge Car No.1 - on the roadside section of the line at Stourton, possibly on the same occasion as that on which it was photographed at The Stewponey. To the left in the field is a marquee for Stewponey Fair. The man is the conductor and the car is moving away from the camera, but, in later years, driving down this road with a tram coming towards you on the wrong side of the road must have been more than a bit scary! The photo was used in the American magazine The World’s Work in July 1903 where it was captioned ‘At the side of the highway’.